When I was a kid, things were entirely different. Yes, I confess, I am a proud member of Generation X! There were no cell phones at least the ones available would not have fit into your pocket! As far as the computer was concerned, my parents bought me my first computer while in my teenage years and it was a Commodore 64! Therefore, my days were spent playing outside, riding my bike, and hiking in the woods nearby my house. This allowed me to fill my time and brain with more physical activity as a child. The only time I would be inside was when I was watching my cartoons every Saturday morning or when I was reading books. I greatly enjoyed my childhood and cherished the fact that I was born in that era, right on the cusp of everyone having a computer in the house. Nowadays, technology is everywhere, in our homes, cars and even in hiking backpacks! Some people cannot imagine living without their technological gadgets whereas for others it is a curse. Houses are now filled to the brim with technology, which gives kids the excuse to stay inside all day. They always have the Internet and social media at their fingertips because of all the laptops, tablets, and smartphones laying around the house. The worst part is, as a parent, if you don’t get your child a decent phone they can potentially be the outcast at school. Moreover, some of their textbooks are only on eBooks, so you must get them a tablet. It is a different world we live in. I recently visited one of my friends and was blown away. His children were glued to their cell phones while we were eating dinner! Hardly anyone was talking and instead were more concerned with what was going on online. Now, I am not saying by any means that the old days were better than the technological era we are living in today, but it all comes down to one word: balance. As I just mentioned, the word “balance” is so important if you are a parent with a child. 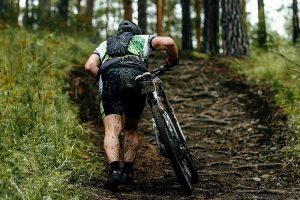 There is no way to ignore technology altogether, and you would be wrong to do that, but there is a way to balance outdoor life with indoor life. 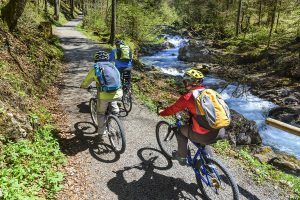 Set up times to go on the computer or a video game system, and then set up times to do an outdoor activity such as hiking. Hiking is an excellent way to gain exercise while being introduced to the nature around you. If you are a beginner, young or old, and have never hiked before, there is no better time to start. I believe hiking is an amazing thing to do and I cannot recommend it enough. To start hiking more seriously, you need a great hiking backpack, to hold all your essentials. The main rule to hiking is maintaining your safety, and to be safe, you must pack things with you that will protect you even if you get lost! That is why a hiking backpack is essential. 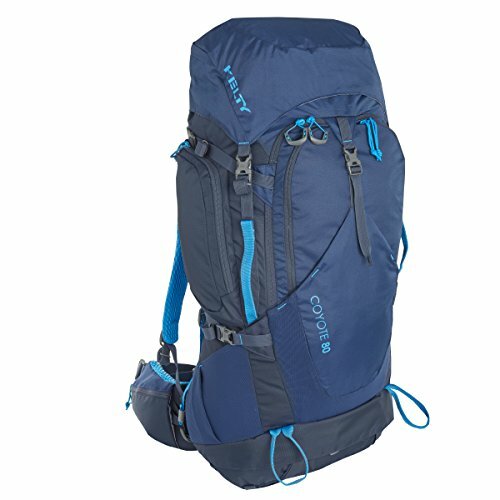 Which Hiking Backpack Should I Get? 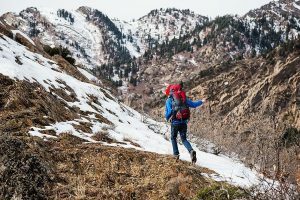 Just to warn you, there are so many hiking backpacks on the market today; it can be overwhelming to find one that meets all your needs because the possibilities are endless. If you are a beginner when it comes to hiking and on a tight budget, I always point people towards light backpacks that are reasonably priced. As a beginner, it makes no sense to get the most expensive bag on the market because you don’t even know if you’ll like hiking yet. Don’t fall for what I call the “shiny syndrome”! What I am referring to here is, don’t go overboard, don’t purchase a very high-end backpack with all the bells and whistle! I recommend aiming low at first, and then you can build from there. Keep it simple! I have listed my favorite backpacks for beginners below, and their features. I hope that through this list I will point you in the right direction and away from bags that aren’t the greatest. This rucksack is an easy one to use, durable, and most importantly, a comfortable bag. It is made with an aluminum frame that is extremely lightweight. The design of the Gossamer allows the weight to be transferred to your hips rather than on your back or shoulders. The best thing about this backpack is the “SitLight” pad which is essentially a cushion to use while hiking. It also can become a seat while you are hiking. The Gossamer Gorilla is lightweight and a great bag for beginners. This bag is comfortable and extremely stylish; some people don’t care what their backpack looks like, but for people who care, this is the one to get. Even though it is so light to carry, it can also hold heavy loads. The ULA Circuit is precise and detailed; it has been made with precision and is perfect for any beginner looking for a fantastic hiking backpack. The Osprey can carry heavy loads but is also extremely cushioned and lightweight. The best part is that it is inexpensive; this is fitting for beginners. It comes with a variety of extras including an easy-to-use back panel, a ventilation system, and a removable top lid. The Osprey EXOS is one of the most popular backpacks that you can buy today, and it is my favorite for beginners. This is one of the lightest backpacks I have ever worn as it is featherweight and features a rare ventilation design. It has been made from carbon fiber, which is why it feels so light on your back. The ZPacks ARC Blast is the backpack I recommend for people who want the lightest backpack available today, but also has great features. 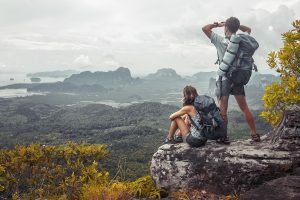 I hope that this list will help you find the best hiking backpack for beginners, and therefore you will have the chance to begin to explore the outdoors with your family. 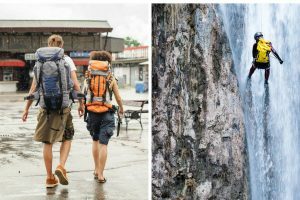 What Are the Top Hiking Backpacks for Backpackers? How to Wash a Backpack – The Ultimate Guide. 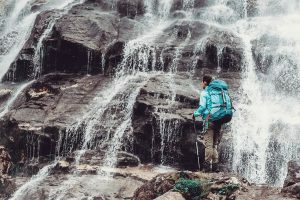 What Is The Best Brand for Hiking Backpack? A Quick Overview on How Are Backpacks Made?